At home, our conversations often revolve around cars. If we are not talking about a new model (Zica), we are wondering about older ones (Premier Padmini). Some days, we are discussing the history of Tata Motors and wondering why it used to be called TELCO. On other days, we debate incessantly over compact versus mid-size cars. Yesterday, I learned that a grey Eeco and a black Octavia are usually parked near the grocery store in our neighborhood. Today, I was quizzed about my favorite Mercedes Benz car (E250 or E280?). Oh yes, we are all excited on spotting a Tata Nano. And we squealed with delight when a green Volkswagen Beetle passed our car at a traffic signal last weekend. Yes, Junior lives and breathes cars (trains and trucks come a close second). It is, therefore, no doubt that vehicle museums top our list of places to be visited. We loved the experiences at the tram museum (LocalBahn Museum) in Innsbruck, the New York Transit Museum, the Ferrari Museum in Maranello, and Miniatur Wunderland in Hamburg. In Pune, we enjoyed a short afternoon break at Joshi’s Miniature Railway Museum. 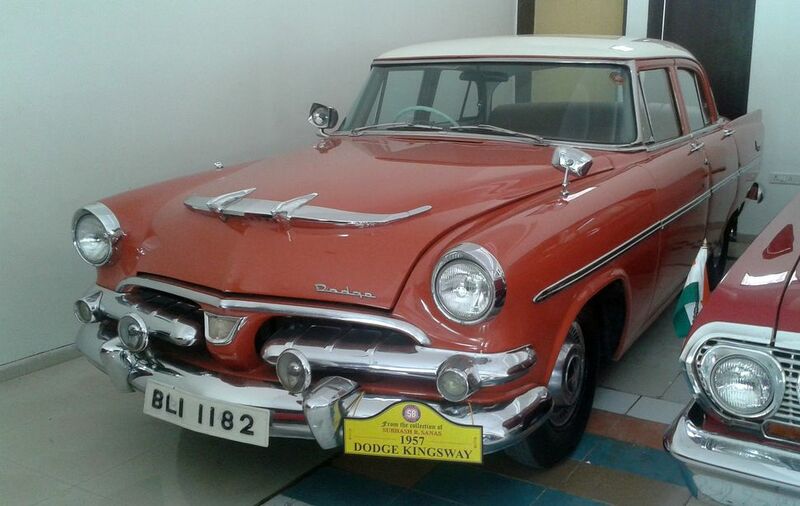 While I browsed the Internet one day, I happened to glance at an article about a vintage car museum in Pune. Well, we HAD to pay a visit soon. And so, Google Maps guided us to a quiet lane in the Lulla Nagar area of Pune. The Vintage and Classic Cars Museum is located inside the Beverly Hills Hotel in this neighborhood. 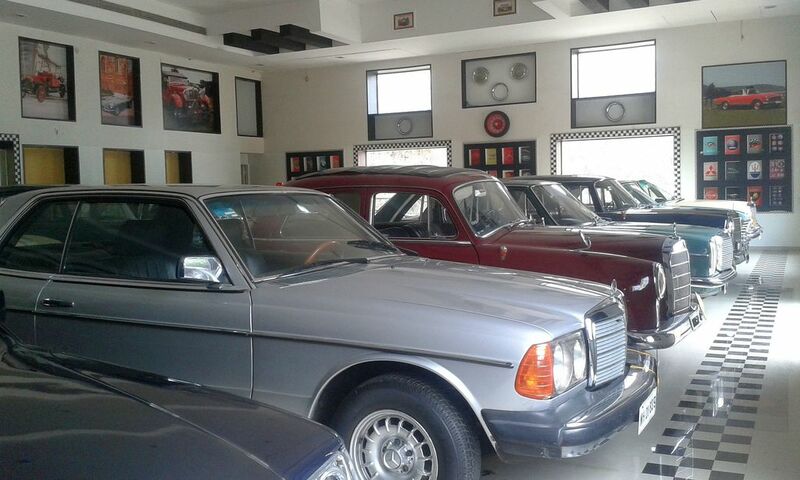 We found ourselves in a large hall that houses the personal car collection of Subhash Sanas. Many beautiful cars vied for attention in this space. Junior admired every shiny and well-maintained four-wheeler in the museum. His favorites were the numerous Mercedes Benz models. A 1963 Chevy Impala competed for adulation with a 1927 Chevy Spock. 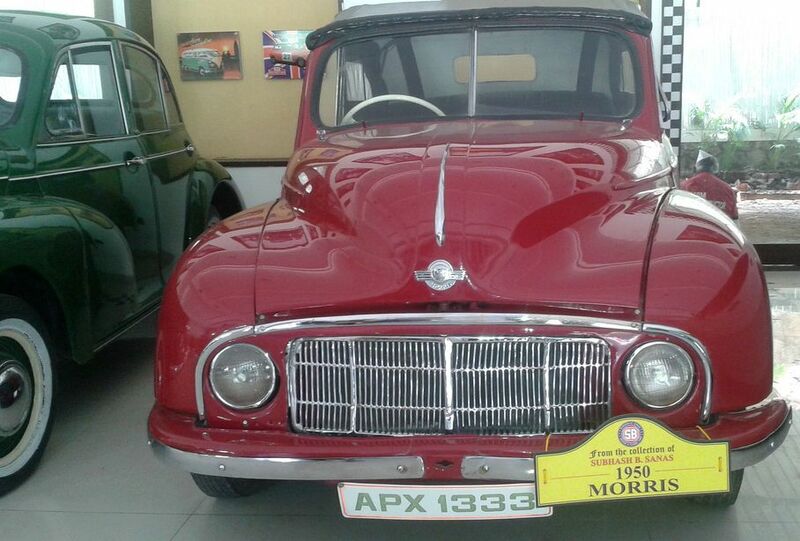 I was impressed with a red 1950 Morris, while B had his eyes fixed on a 1957 Dodge Kingsway. A striking blue London Taxi added charm to the hall. Two scooters – a Lambretta and a Bobby (named after the scooter used in the Bollywood movie with the same name) – have a special place in the collection. A gentleman in the museum shared a few interesting anecdotes about some of the cars. Indira Gandhi, Rajesh Khanna, and Chunkey Pandey were among the celebrities who found a mention in the stories. After about three rounds of the hall and after every car had been thoroughly examined, Junior was a satisfied and happy young man. “Mama”, he said, “you are the best!” Ha! Don’t I know the way to my boy’s heart :). 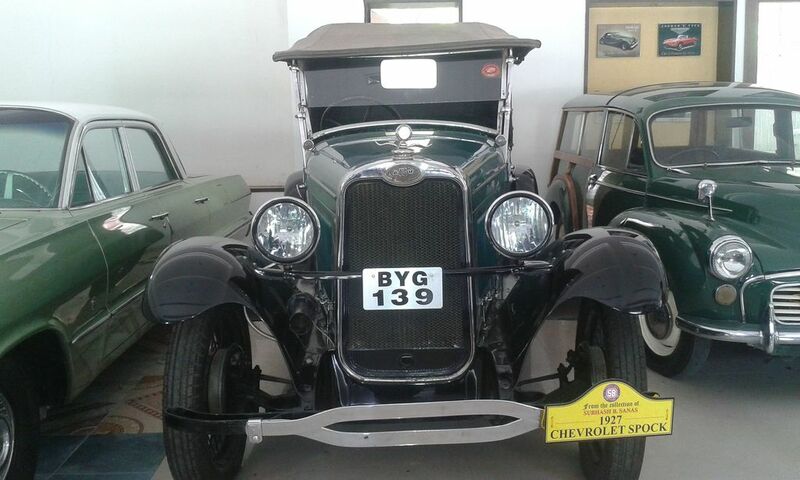 So, if you LOVE cars, head to the Vintage and Classic Cars Museum in Lulla Nagar for a date with some special vehicles.